Home > Blog > Should I Go Into Business with my Friend or Family Member? Should I Go Into Business with my Friend or Family Member? An experienced business attorney can help you decide if it is in your best interest to go into business with a friend or family member. So what made these companies so successful? What common practices do they share? Besides the possibly magical beginnings of starting in a garage in California like five of the above companies did, there are definite similarities between family and friend companies. It’s not your typical business. Going into business with someone is like having a long-term relationship with them, and just like any other long-term relationship, partnerships must be based on trust and respect. Before entering into business with someone, you should be able to answer the following questions with a resounding yes! Do you trust this person’s ability to make smart decisions? Are they stable in their personal life? Will they represent the company with class? Analyze your friend’s strengths and weaknesses. Be honest. These things will not magically go away as soon as you start a business together. Make sure that you and your friend have similar ideas of success. Differences in goals can stop progress before it starts. Some want to build up a family business, some want to build and sell, some want to retire early, some want to pay the bills. Your company views should be, if not the same, fairly similar. Can you resolve disagreements with this person? Can he or she compromise? Can you? A Little Planning Will Solve Most Disagreements. If you still think this person is a good one to go into business with, you must have a plan for communication. Who is going to work when? Who will field phone calls? Planning these things early on will make for fewer disagreements. Effective communication is crucial to the success of any business. Any agreements or contracts should be thorough and well thought out. You should have an agreed upon exit strategy soon after the partnership begins. Many don’t want to think about leaving before a company is even off the ground, but life is not always predictable, and it is easier to think about these things while everyone is still excited. Put Things Down in Writing. Make sure that any agreements are put in writing and signed by all involved parties before beginning. This will keep everyone on the same page and help resolve loose ends. 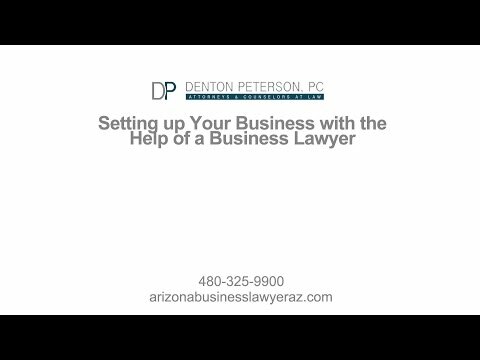 Make sure to have the assistance of an experienced Arizona business attorney when preparing these documents. 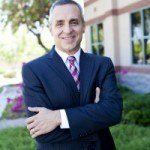 Denton Peterson PC has extensive experience in all aspects of business, contract and franchising law. Contact us today to discuss your individual legal business needs. When I Buy a Business, Should I Have a Non-Compete Agreement?